Today’s consumers are tired of irrelevant marketing content they don’t want or need. With so much content being created by brands every day, consumers are becoming extremely selective about what they choose to read and ignore. That’s why I believe one of the content marketing trends we’ll see in 2017 is a move to more content personalization, with brands targeting content down to individual preferences, needs and interests. To break through the noise and get people’s attention, brands need to start delivering more personally relevant and valuable content that their customers actually want and need. The first level of personalization is “insertion based” content. The most common examples are personal salutations in emails and references to time (i.e. “Good morning”) or weather on websites and landing pages, based on a visitor’s geographic information. 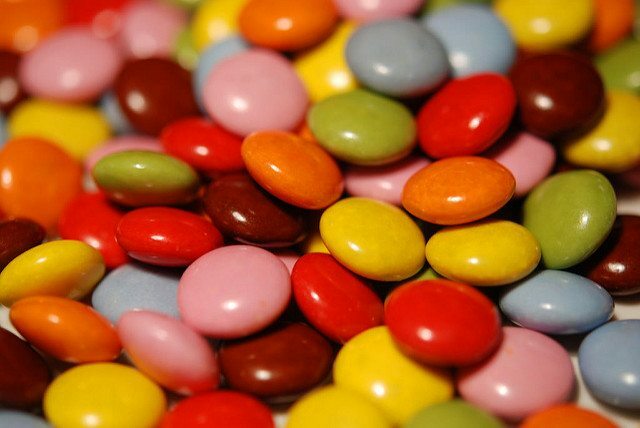 Another type of personalization is segmentation-specific content. Your target audience is divided into clusters based on demographic or firmographic attributes and qualities, then you deliver tailored content that is most appropriate and relevant to those segments. The ultimate type of personalization is all about true 1:1, real-time content based on each individual’s behavioral history, past engagement and interests. This level of personalization should be machine learning driven, so that your content personalization efforts, whether that’s your web, email or mobile experience, can get smarter and more sophisticated over time as more data is collected. In essence, this type of personalization enables marketers to tailor the content experience to infinite audience segments of one. Whichever level of personalization that best serves your content marketing objectives and efforts, effective content personalization really starts with developing a deep understanding of your target audience. What challenges, problems or pain points are your customers facing? What are their aspirations, goals and desires? What content topics are they most interested in reading about? Both your first-party and third-party data can help inform and provide insights on these questions. Then, you’ll want to understand your target audience’s content preferences, including the types and formats they prefer (i.e. blogs, infographics, videos, whitepapers, podcasts, etc.) and the channels or platforms they’re already spending time on. This is the content and distribution side of your content personalization strategy, you’ll also need to look at the technology side to ensure your marketing technologies can support your content marketing efforts. Ideally, you want all your marketing technologies integrated, including your content management system, web analytic tools and other platforms or data sources you own, so you can gather more accurate insights and automate and manage your content personalization efforts more efficiently. Here are some additional expert tips on how to get started with content personalization. 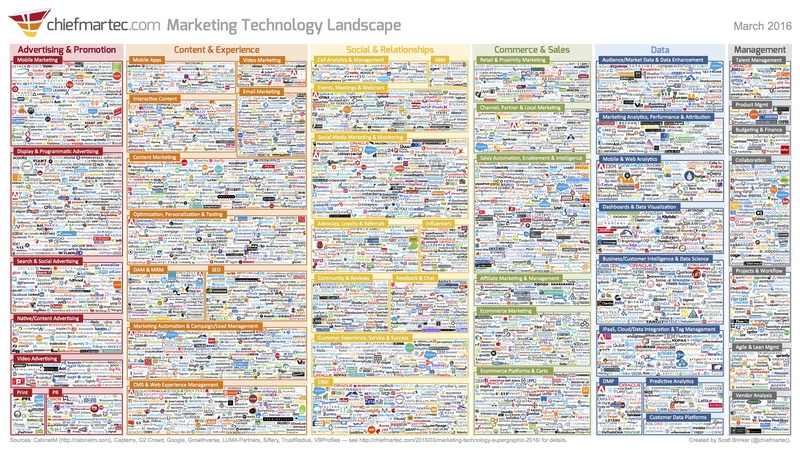 If you’re considering adding new marketing technologies to your existing marketing tech stack, or are shopping for a new digital platform that can best support your content marketing and personalization efforts, I hope you’ll find this marketing technology solutions overview helpful. 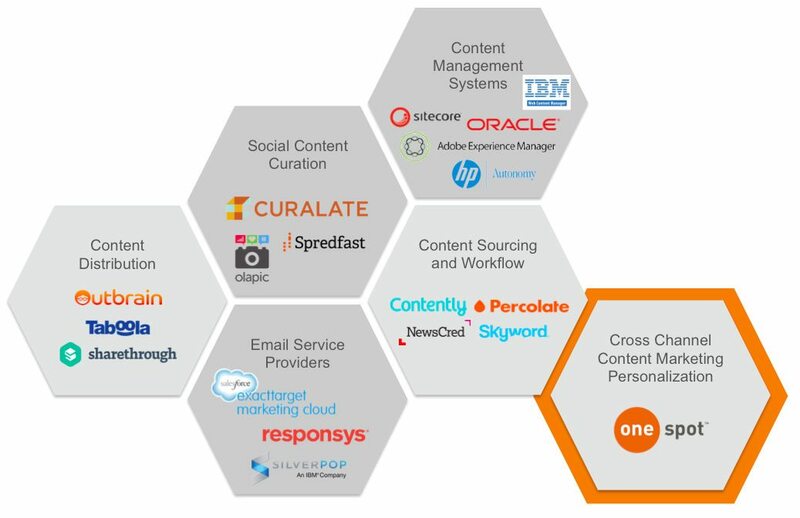 The visual below also shows you where content marketing personalization fits into the content marketing solution marketplace. If you want to see more content marketing and personalization solutions, check out this supergraphic from Chief Marketing Technologist Blog. It actually goes beyond those content marketing and personalization solutions, and features everything from account-based marketing (ABM) to mobile marketing, SEO, social media and CRM, just to name a few. The supergraphic features 3,874 marketing technology solutions, to be exact! 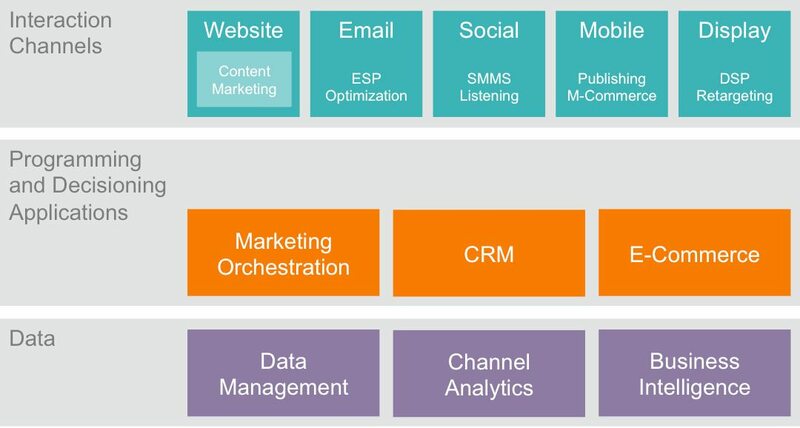 In the past, content marketing typically falls under the “website” category or section of a company’s marketing tech stack, as seen in the image below. With content marketing technologies, brands are generally concerned with applications and capabilities like CMS, SEO, lead management, etc. 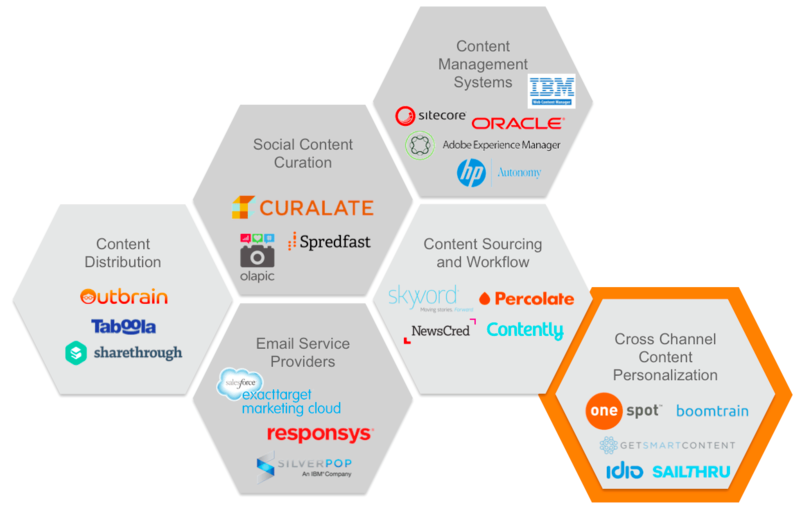 But content marketing tech’s position in the marketing tech stack is changing. 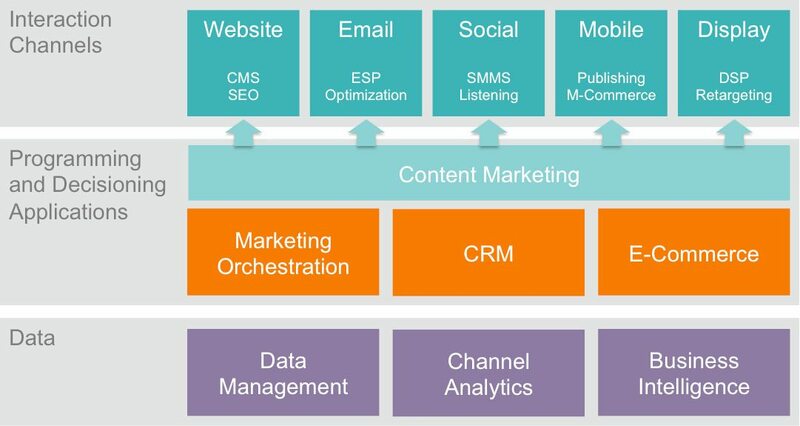 Content marketing is now a multi-dimensional capability that entails many applications and works across different channels, as the below visual shows. Content marketing encompasses everything from email to social, mobile and display, and is connected to other marketing tech solutions your company uses, from CRM to data management and business intelligence, just to name a few. It’s crucial that all your marketing technologies can be integrated seamlessly, so you can more effectively and accurately collect and analyze customer data, apply those insights to better manage, automate and deliver your content personalization experiences that will truly drive conversion and revenue for your business. This post was written thanks to significant input from Adam Weinroth, CMO of OneSpot. Watch a 2-Minute Video: How OneSpot Works. Content personalization is very important not only the ability to talk to users in a variety of ways, it is also a great listener. It can also improve lead nurturing and it can keep your website fresh. I learned a lot! Thank you.